I happen to be sitting at a desk writing this blog, but I could just as easily be sitting anywhere (within reason) with a sufficient internet connection and keyboard. So what's new about that, I hear you say. Well, for one thing, I'm not using any bought-for software (eg Microsoft Word), and I'm not having to save onto a USB stick every few minutes. I have all the functionality that products like Excel, Powerpoint and Word afford – but with huge capacity to save, amend, edit and distribute – and all without the worries of losing a memory stick or compatibility issues with old PCs, outdated or expired software. I'm using Google Docs a completely free set of programmes that you can tap into anywhere via the web; with all my docs and spreadsheets reliably waiting for me wherever I log in using my googlemail address. No more lost sticks, no more memory full messages. And importantly, no more worrying about buying upgrades or having to manually stop Windows Vista automatically scrambling cheap Word-clone documents in Notepad. I'm literally writing, saving and uploading to the Cloud (as the techies call it), freeing me up from carrying anything more than my mobile phone and some spare change for internet cafes – or, even better, finding free spaces like public libraries. Without wishing to turn this blog into an unwitting advert for Google, I'll move on (but their array of free web tools are legion, and pretty special). Essentially, the point I want to make is Free is out there, often in negligibly limited versions of subscription-only services, but perfectly adequate for the needs of the casual user – including charities that wish to keep subscriptions and resources to a minimum. As a charity PRO, I like Free. I use Free as much as I can. 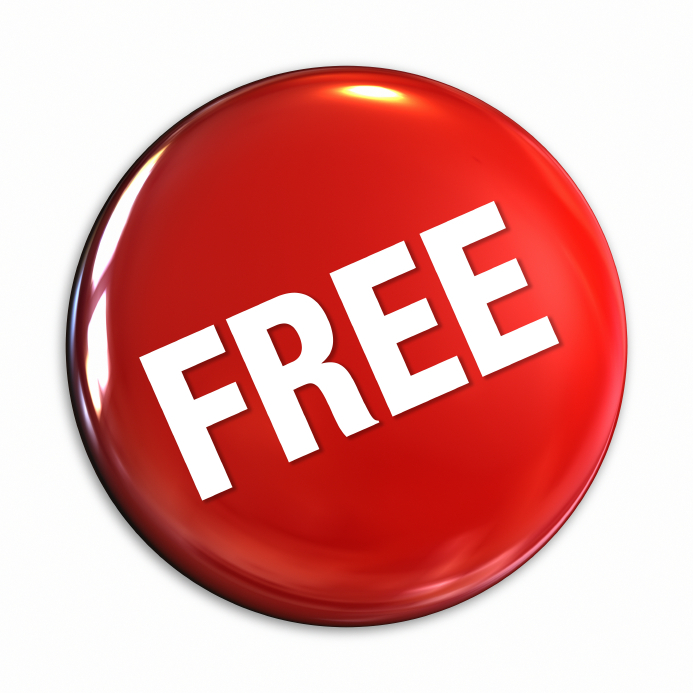 I capitalise the word Free, because free goods and services have become a commodity like any other – and one that corporates are starting to 'get', too (full transparency here, this is not my concept but has been written about by author Chris Anderson in FREE: The Future of a Radical Price). So Free is the friend of the non-profits who, for example, set up alternatives to paid-for media databases, and create collaborative wikis – pieces of server software that allow users to freely create and edit web page content using any Web browser,. the biggest of which is arguably Wikipedia, the free and collaborative online encyclopaedia. For a good while now, corporates have recognised the value of letting huge numbers of people experience and test their products and services for nothing, a) because many will warm to the idea of buying an upgrade or access to pay-walled material once they've decided they like the basic model enough – and want a little more, and b) users will soon let you know if they dislike something about your service and tell you how to improve it. Twitter, Facebook, YouTube and all of these Web 2.0 tools epitomise Free, as they give the likes of us – charity communicators – gratis spaces to talk about our work, engage with supporters and stakeholders, lobby (and ask those who support us to lobby on our behalf), show videos, tell stories and influence – all outside of the realms of paid-for advertisements, costly poster campaigns and events. We need these things too, sure, but if you're small you can arguably rely on Free more. And if you're big you can seamlessly tie-in Web 2.0 to your overall comms strategy, which may include spending more cash. I thought I'd give you some more free resources. As well as CharityComms' very own AskCharity service, why not check out journalisted.com which allows users to search keywords, named journalists and online media outlets for free? Find out who writes about your area and research their articles and blogs. Get specific stories emailed to your inbox every time they are published. You'll know who to build relationships with and your pitches will be stronger. It also doubles up as a free way of compiling weekly media briefings to staff on articles of interest to your area of work. Can't afford a sub to PR Week? Register free with brandrepublic.com. This gives you searchable access to articles on all their titles including Marketing, Revolution, Media Week and PR Week. Need a free alternative to pricey media databases? Try mediauk.com – it's not exhaustive, but does carry websites, addresses, telephone numbers, emails for all areas of online media; including 822 radio stations, 538 television channels, 1,606 newspapers, and 1,970 magazines – from 265 media owners. It is updated regularly. The time has never been riper to tap into Free – for information, for resources, for products and services – and for networking. Just remember to occasionally pull your head out of the Cloud and walk around on Earth once in a while.